One of my first eyeglass holder designs and still ranking at the top of my favorites! 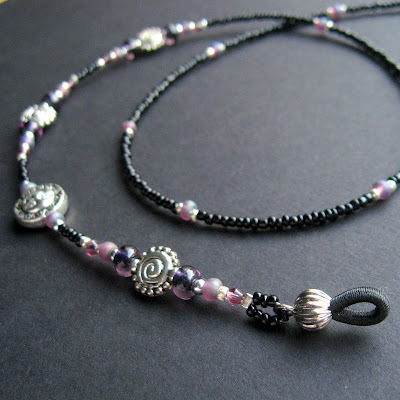 Silvery spacers shimmer in this handmade eyeglass chain decorated with dusky purple glass beads, silver plated sun and moon accents and spiral designed disks. The coins in this piece are two-faced. The sun smiles on one side, the moon on the other! 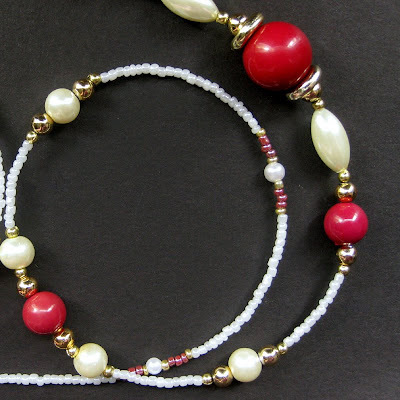 This strand is made with smooth beads at the nape for the comfort of the wearer and decorative beads at the ends to show off a sense of style while keeping eyeglasses easily in reach. This eyeglass chain measures at 29" from tip to tip - 73.5 cm.